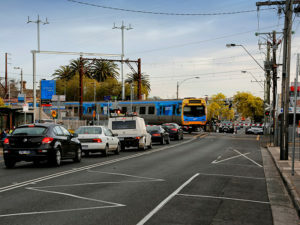 Melbourne's Metro Tunnel Project "On-Budget and On-Time"
The contracts to build the biggest public transport project in Victoria’s history and equip it with next-generation, high-capacity signalling have been signed. The $11 billion Melbourne Metro Tunnel project is on-budget, on-time and will create nearly 7,000 jobs – including 500 apprentices, trainees and engineering cadets. Premier Daniel Andrews and Minister for Public Transport Jacinta Allan announced that final contracts to deliver the $6 billion tunnels and stations package have been signed with the Cross Yarra Partnership (CYP) – a consortium led by Lendlease Engineering, John Holland Bouygues Construction and Capella Capital. The decision follows an extensive competitive process with the world’s most experienced construction and tunnelling contractors. It’s the biggest contract on the biggest public transport project ever delivered in Victoria and paves the way for major construction on the tunnel and stations to start next year. The final contract has also been signed with CPB Contractors and Bombardier Transportation to start work on the roll-out of high-capacity signalling on the Metro Tunnel. The $1.1 billion Rail Systems Alliance will allow trains to safely run closer together, meaning they can run more often – creating a turn-up-and-go train network for Melbourne. High capacity signalling will mean Victoria’s new fleet of 65 High Capacity Metro Trains will be able to run from Sunbury to Cranbourne and Pakenham and through the Metro Tunnel. It will be the first time this technology has been rolled out on an existing network in Australia and will allow trains every two to three minutes. Early works are well underway, major works will start next year and the project will be complete by 2026.